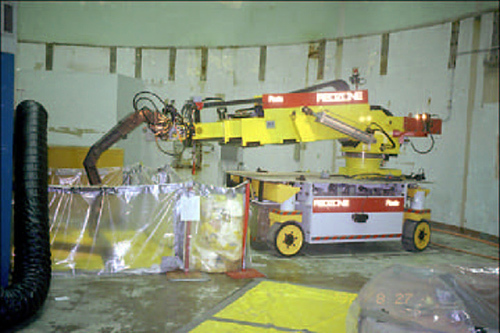 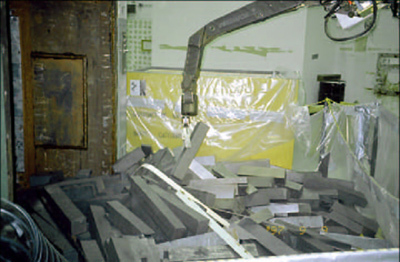 A Kraft Predator arm on "Rosie" handling graphite blocks during cleanup operations at Argonne National Laboratory. 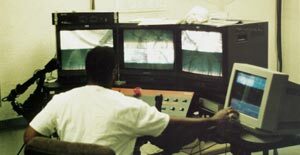 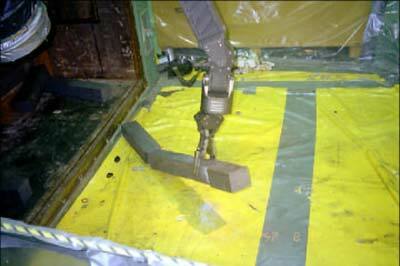 Raptor manipulator arms are used in the decommissioning of nuclear facilities worldwide. 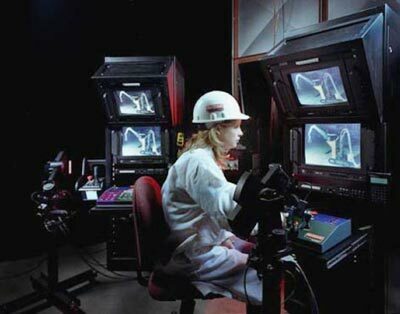 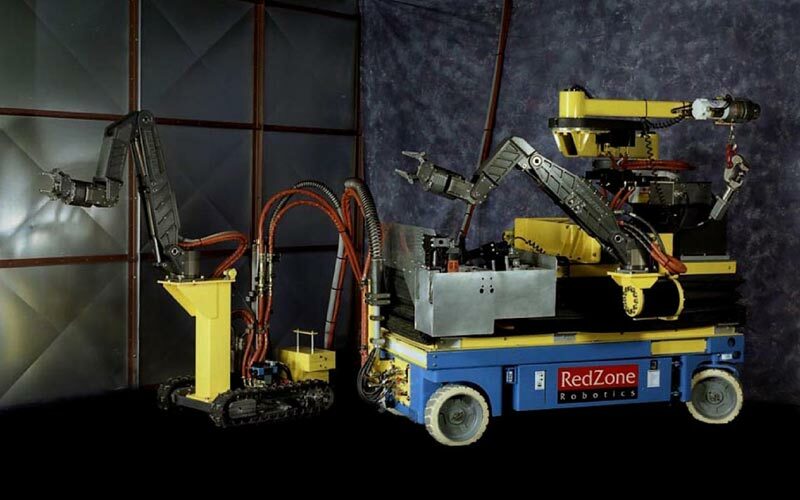 Raptor, as shown on the Red Zone "MSRS" work platform, is used in the dismantling of contaminated equipment.